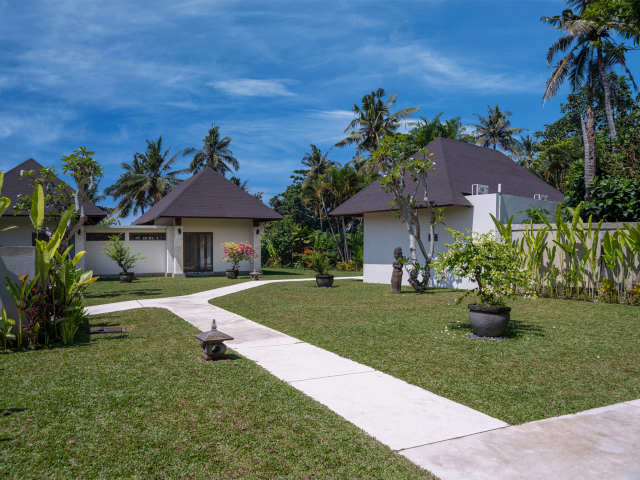 Lovely 3 bedroom beachside retreat in Tabanan. 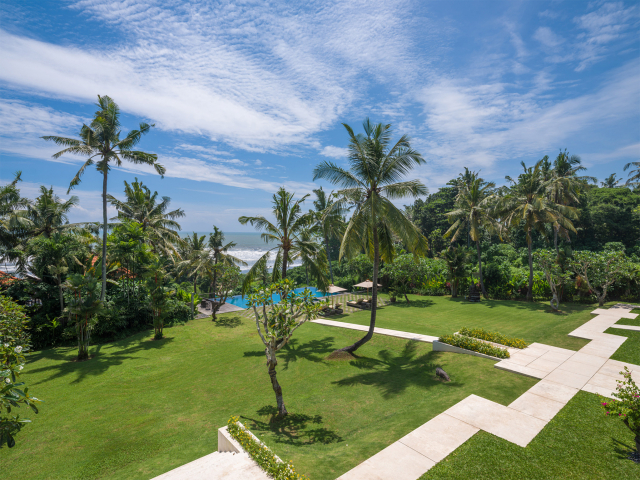 Here, we invite you to lose yourselves among tranquil ponds, well-spaced pavilions and a coconut-grove garden, enhanced by the rugged beauty of the windblown beach, and the constant sound of the breaking waves. 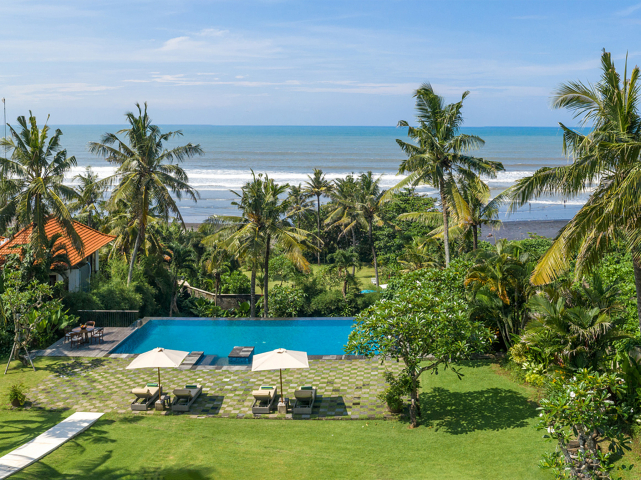 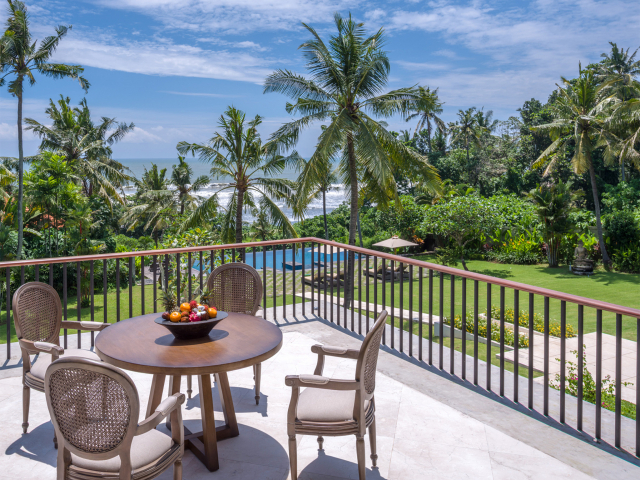 Villa is situated just three-minute-stroll from Kelating Beach with its sparkling black sands and sweeping coastline views. 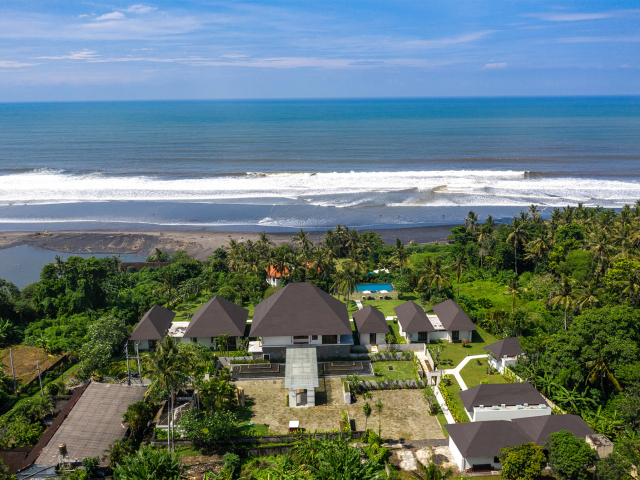 The lonely beach and river estuary offers beautiful walks, and local temple ceremonies are a common sight, this stretch of coastline is popular with surfers but there are strong rip currents and no lifeguards so it is unsafe for swimming. 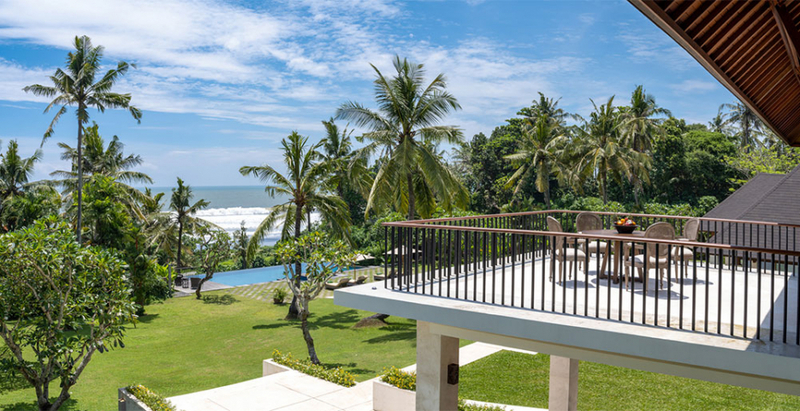 Villa an ideal holiday destination for a family or a small group of friends, while its velvety lawns dotted with palms and fragrant flowering trees are perfect for weddings, parties, and celebrations for up to 200 guests, against the awesome ocean backdrop. 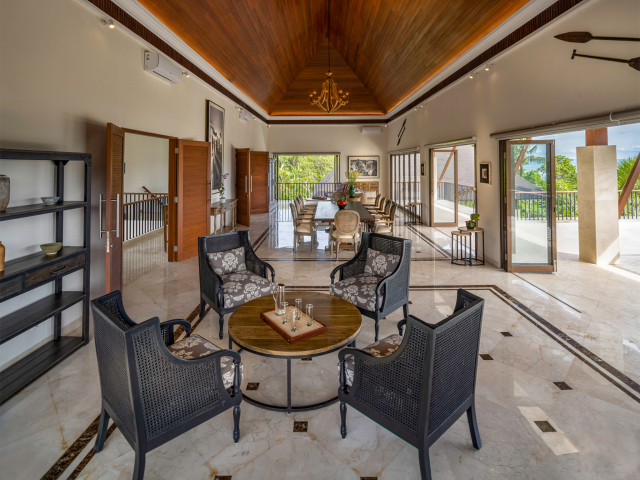 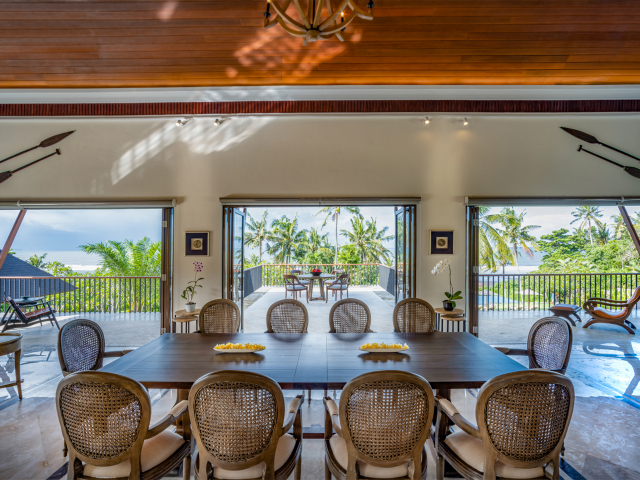 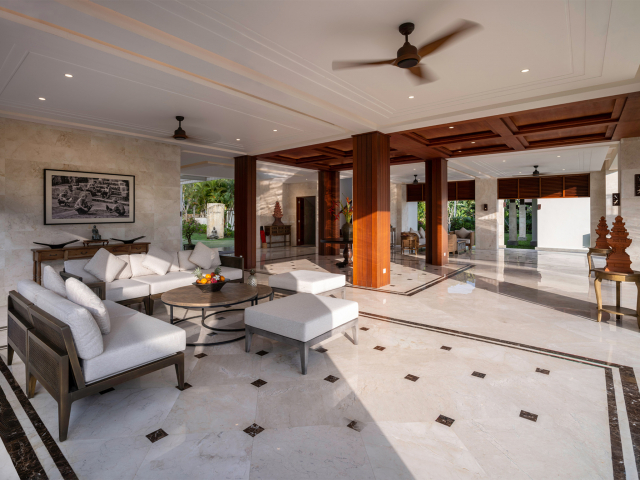 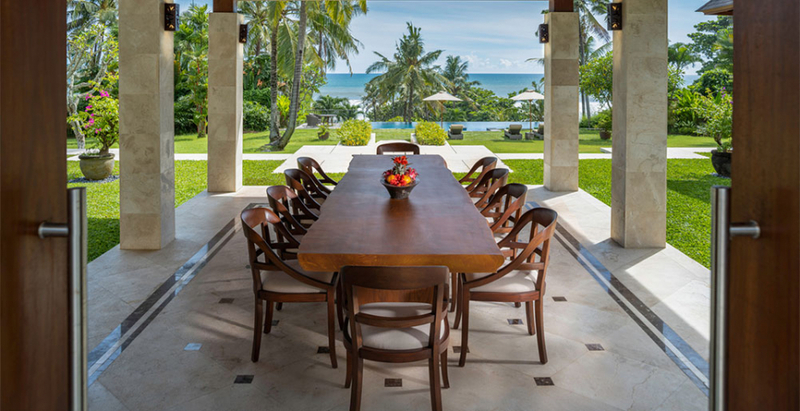 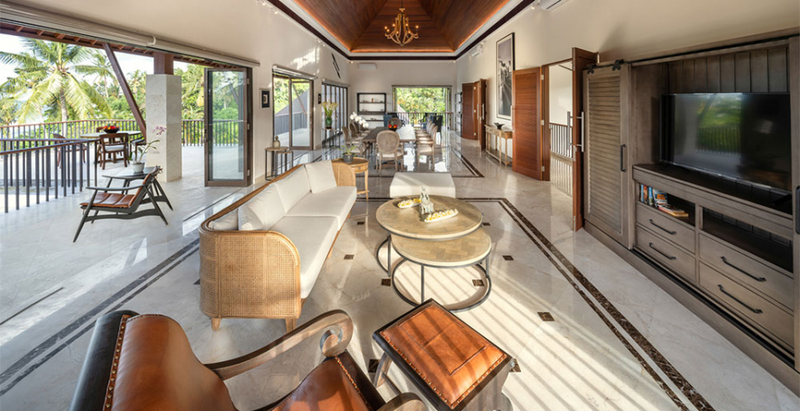 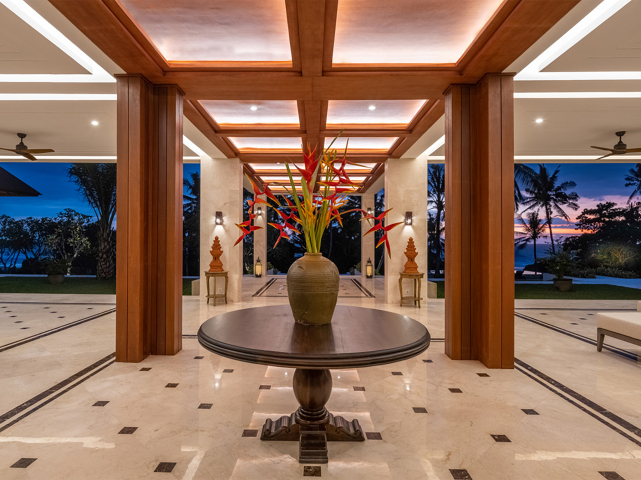 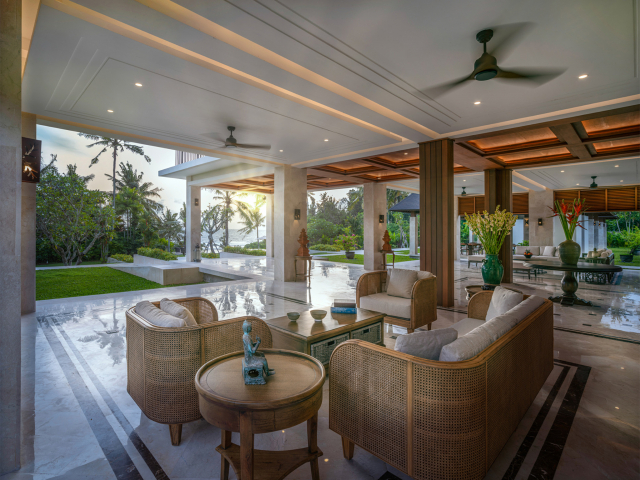 Villa has living pavilion, grand dining pavilion and separate dining terrace all stand open to the gentle trade winds and dramatic ocean views. 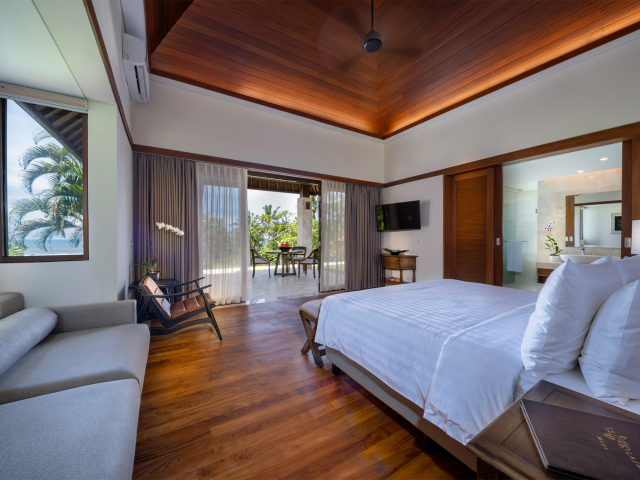 Hidden among the gardens to one side of the living pavilion is a two-bedroom guesthouse, while on the other side the master suite offers complete privacy with its own plunge pool for discreet dips during lazy afternoons or under clear, star-filled skies. 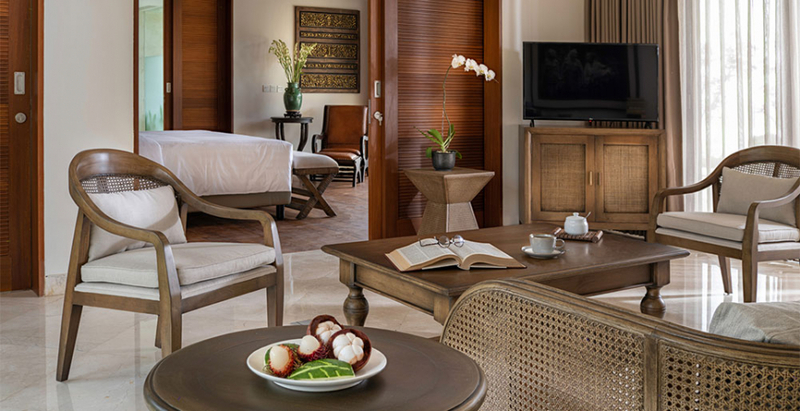 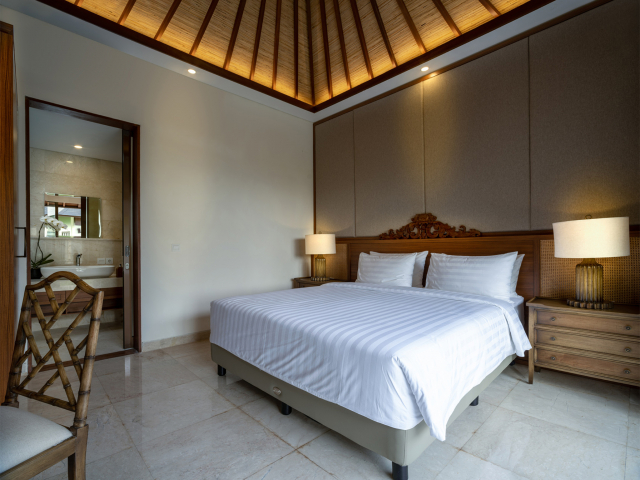 Villa has spacious air-conditioned master suite is furnished with a king-size bed, comfortable armchairs and a cushioned window seat, and equipped with a satellite-channel TV. 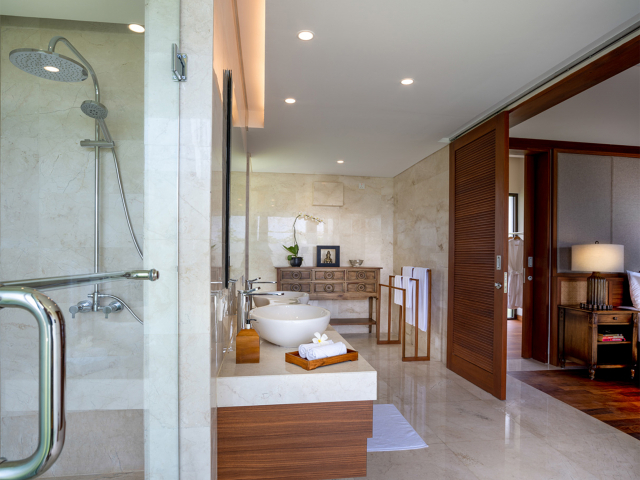 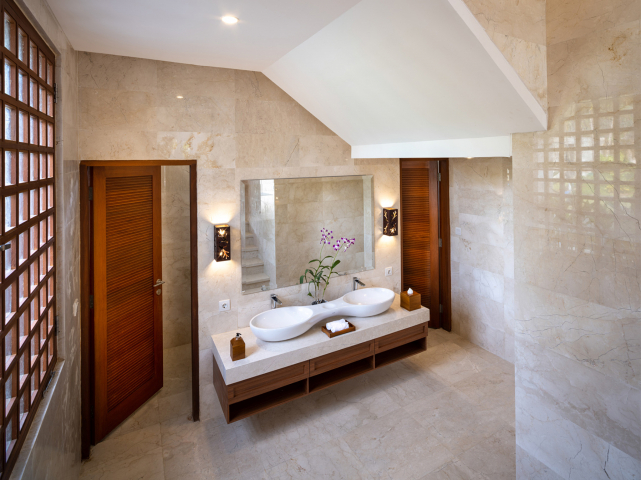 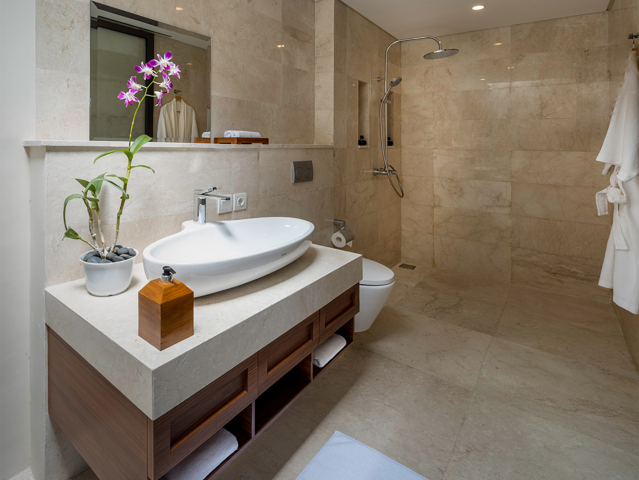 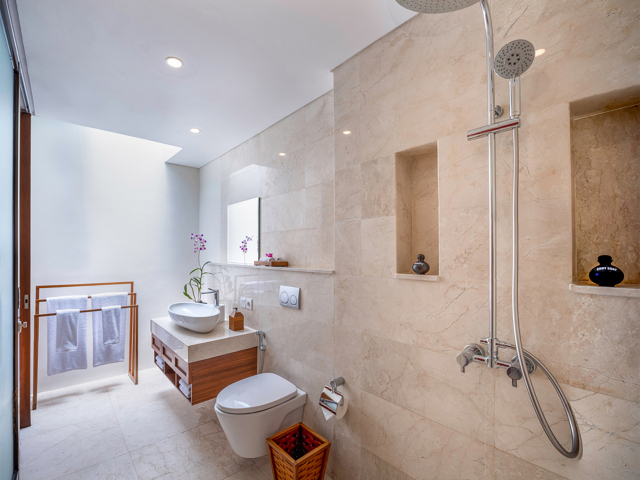 A huge ensuite bathroom with walk-in rain shower and bathtub looks into a private garden with additional outdoor shower. 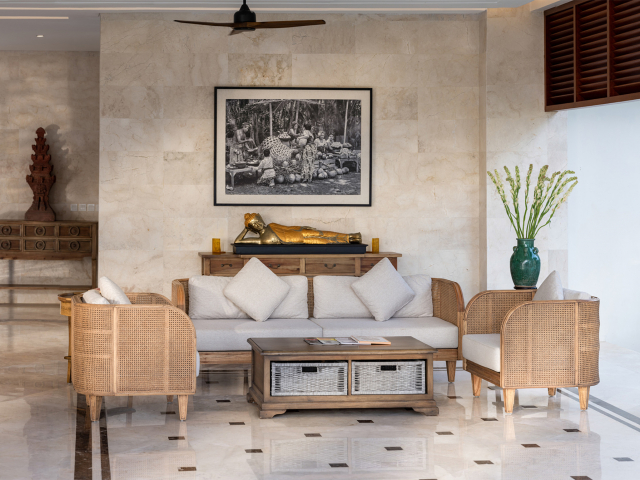 Two of almost-identical air-conditioned guest suites – set well away from the other buildings and positioned within a private, semi-walled courtyard around an ornamental pond – offer a peaceful retreat for a family or two couples. 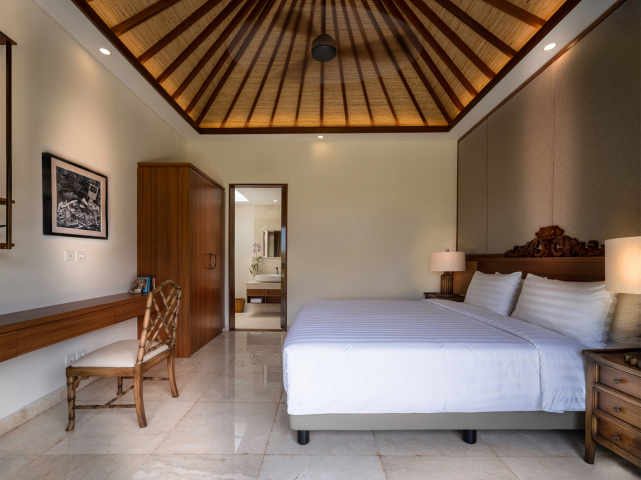 Both suites with a king-size bed and satellite TV, and en suite bathrooms with walk-in rain showers and bathtubs alongside picture windows that frame a private flower-filled garden. 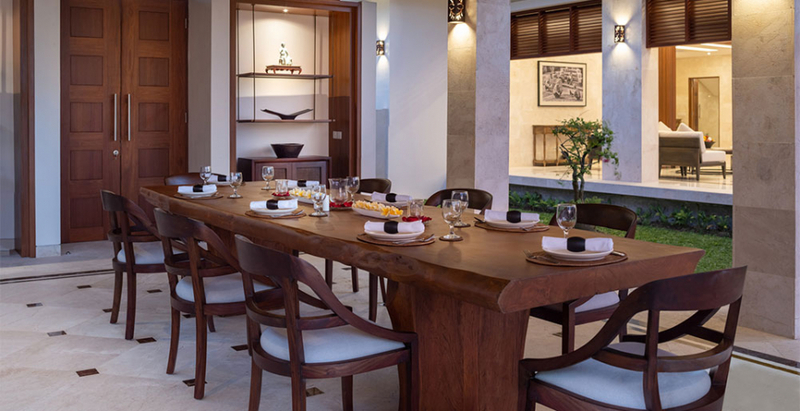 The villa’s main kitchen is located behind the villa and is fully fitted with a professional range and everything that the cook needs to prepare delicious meals and beverages for guests. 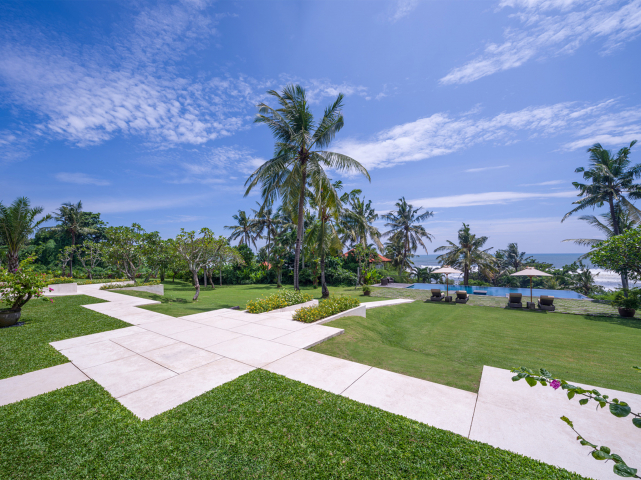 The huge garden rolls down to a 14-metre infinity-edged swimming pool bordered by a chequer board stone and grass terrace with a relaxation balé and a yoga deck to one side. 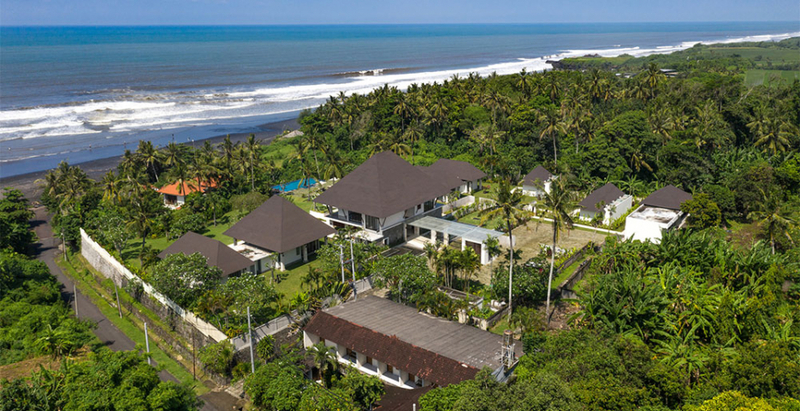 With the spectacular view of the ocean and the near-deserted, glistening, black-sand beach, a mere three-minute walk from the villa gates. 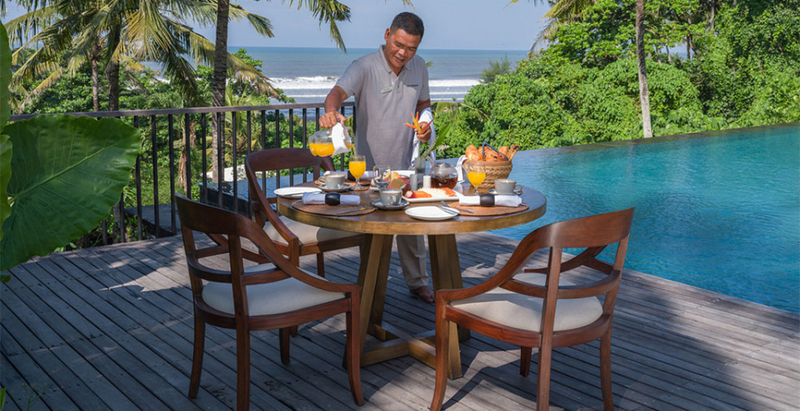 Villa team staff, including an in-house cook and experienced villa manager, are on hand to prepare meals and look after your every need, leaving you free to rest, relax and perhaps raise your glass to another legendary Bali sunset. 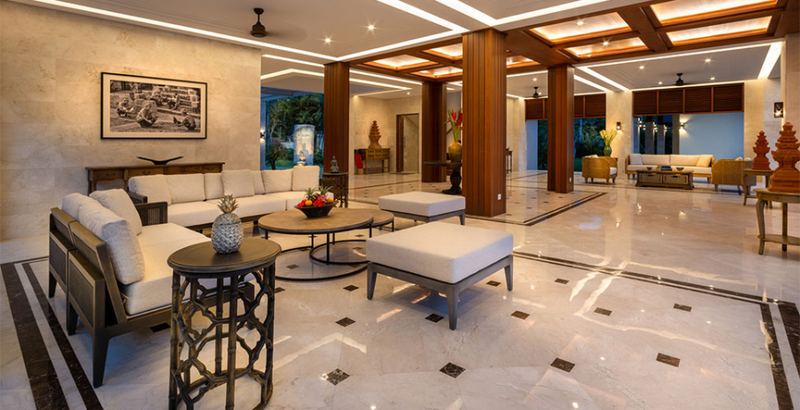 Groceries bills at cost. 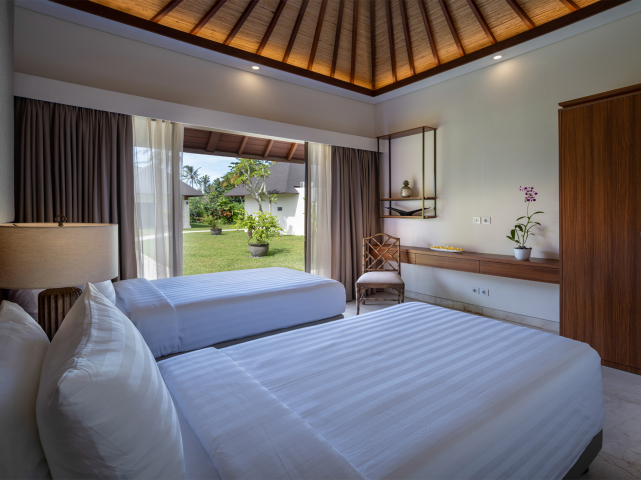 Capacity: 6 people (1 master suite with king-size bed and 2 en suite bedrooms with king-size beds. 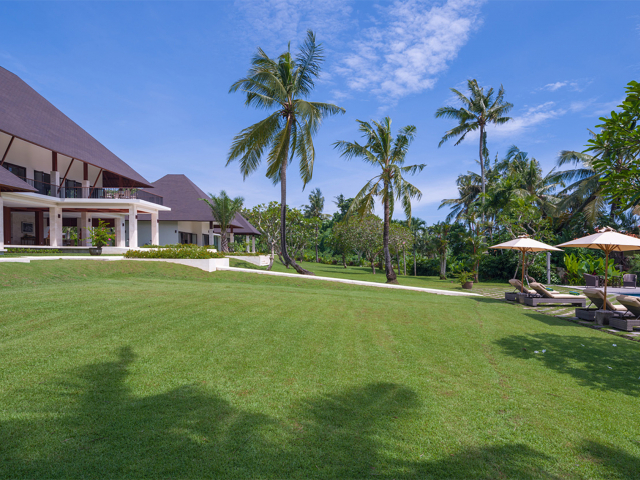 Property Area: 10,125 sqm (land). 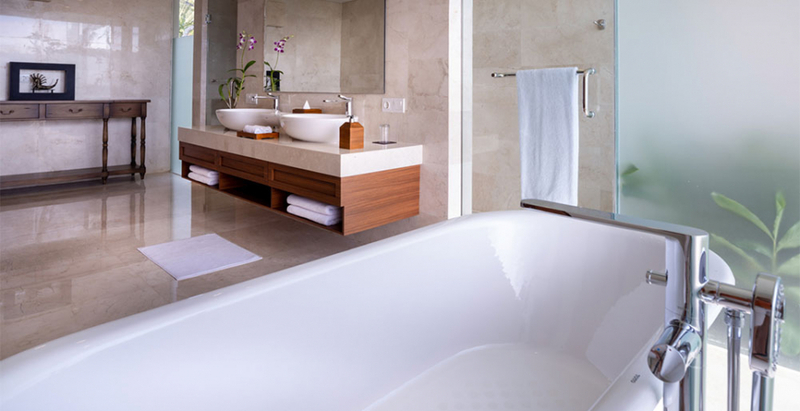 Shoulder season: March 24-29, April 1-13, June 16 - 24, August 21 - September 1. 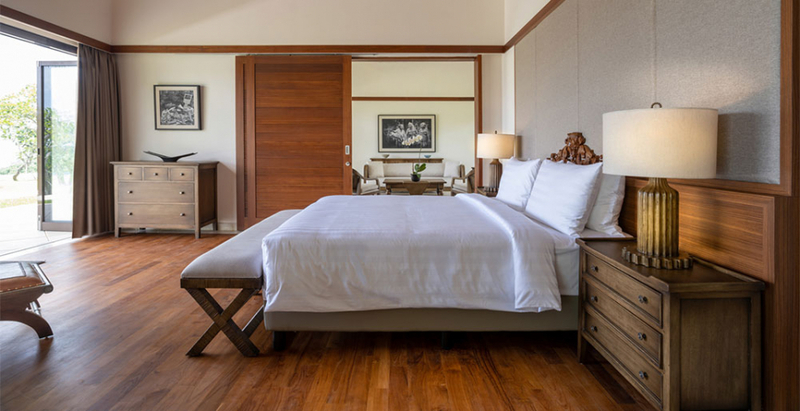 Price per night in Shoulder season is $565. 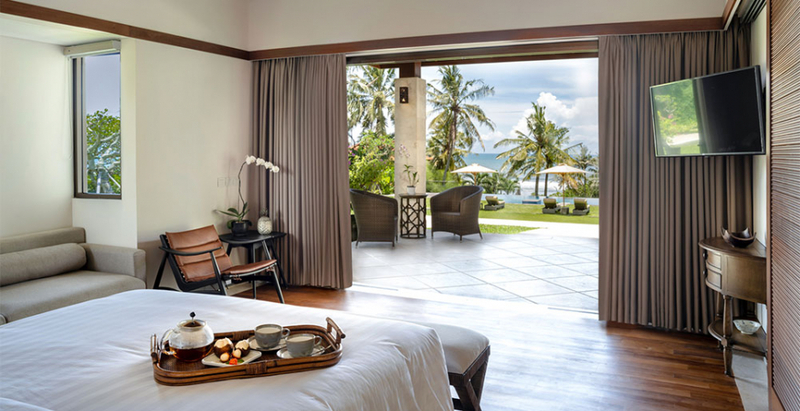 High season: January 3-8, Chinese New Year, Easter, April 28 - May 1, June 24 - August 21, December 15 - 26. 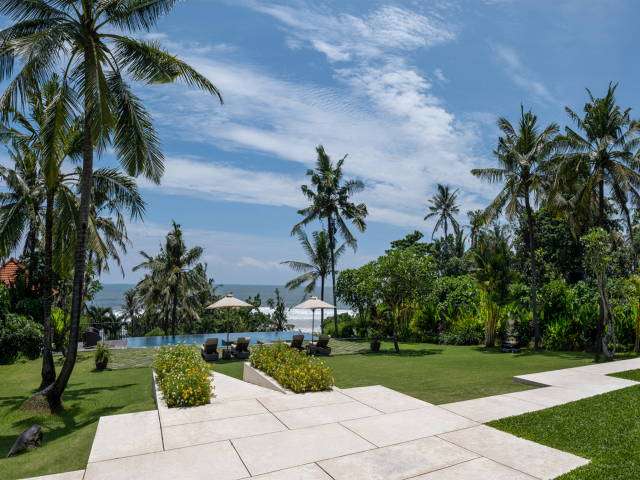 Peak Season: December 26 - January 3.